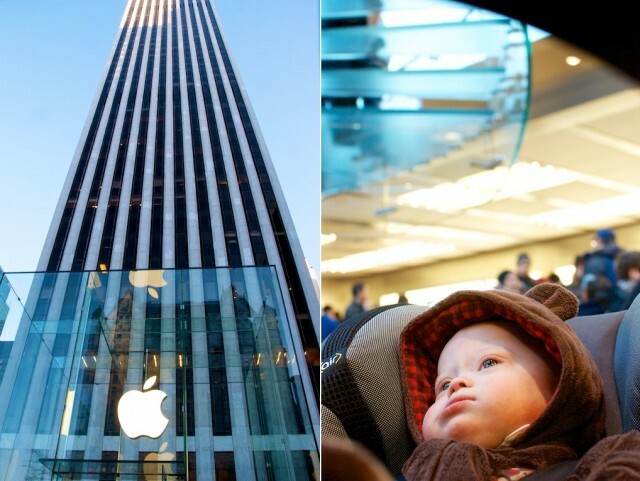 NYC Day 2: Noah Meets The Lyons…And Other Fun New York Awesomeness! 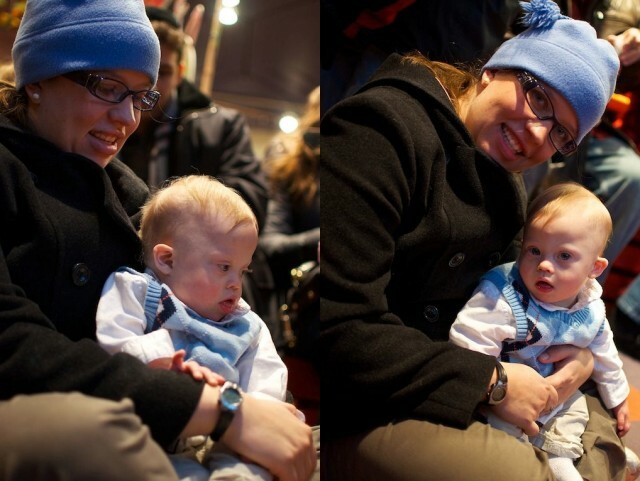 You are here: Home / Family / NYC Day 2: Noah Meets The Lyons…And Other Fun New York Awesomeness! It’s only the second day of our trip to New York and I’m pretty sure Noah’s already a huge fun of the Big Apple…just like his dad. 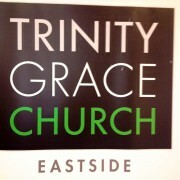 This morning we took a cab over to the Eastside of the city and headed to Trinity Grace Church to meet up with some new friends, Gabe and Rebekah Lyons. 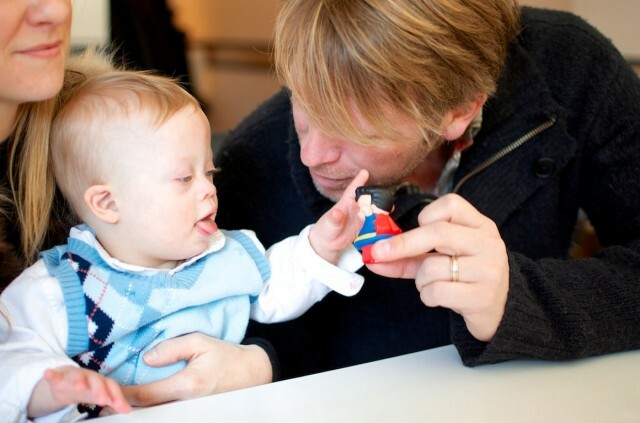 Their oldest son, Cade, is ten years old and was born with Down syndrome like our son, Noah. 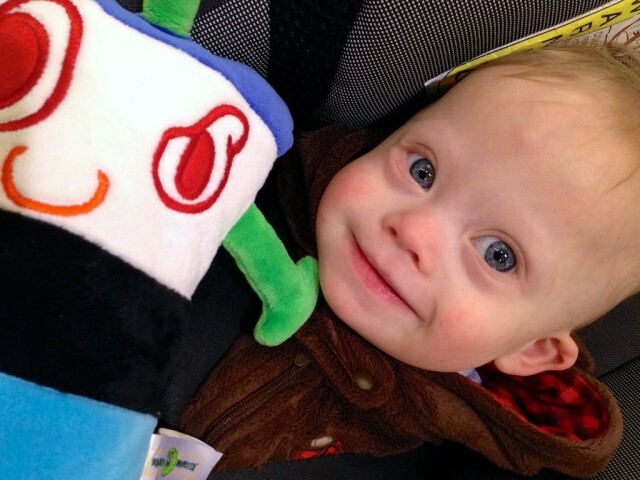 We spent the the morning talking about our families, asking Gabe and Rebekah questions we had about raising a child with Down syndrome whose a few years older than Noah, and talking through various ways to change the world….but that’s another blog post for another day. 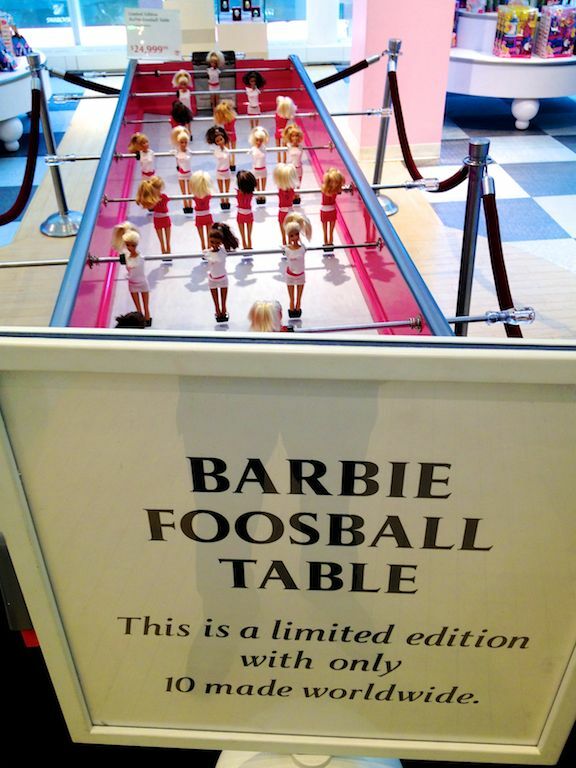 One of my favorite things about FAO is looking (and laughing) at all of the one of a kind (and over the top) toys they have scattered through out the store, like this 25,000 dollar barbie foosball table! See, I told you so. A person is only one doll house away from the poor house in here. Or perhaps you’re saving your money up for one of my personal favorite, the250,000 dollars Dance-On Piano. That’s right friends, for a quarter of a million dollars you and your family can bring home your very own replica of the piano used in the movie Big and hop around playing Heart and Soul until your feet hurt! By the way if you’ve never seen the movie Big, you should , because it’s awesome! Here’s a clip of the BIG piano scene. 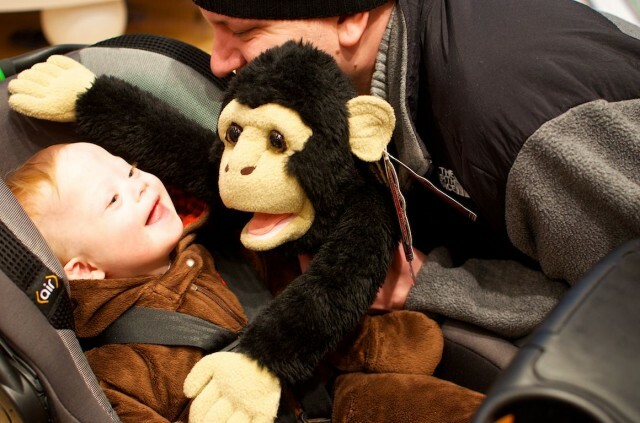 I’ve a huge fan of creative play, and thought it would be fun to buy Noah his first puppet while we were here. 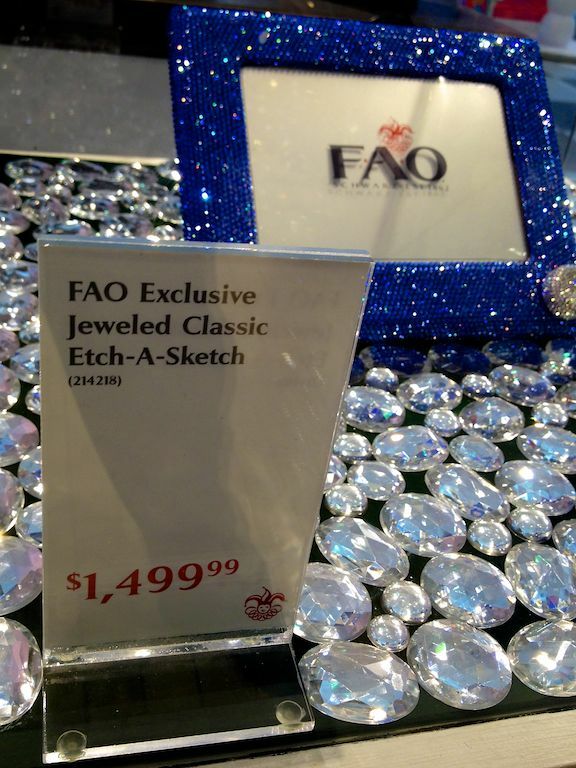 Not only would make for a fun and memorable souvenir, it was much more in our price range. 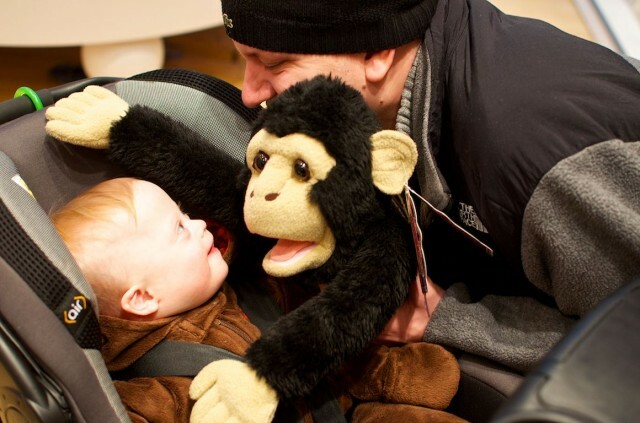 Noah and I had fun monkeying around while picking out a puppet. 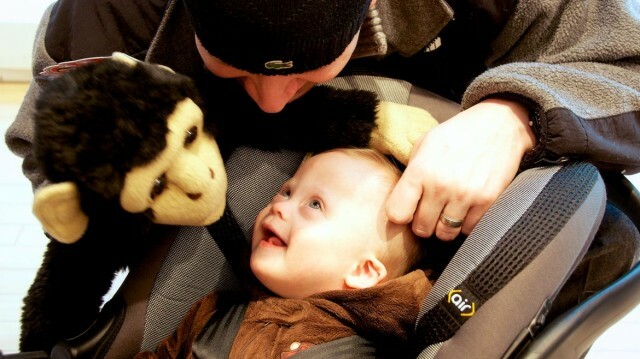 And as you can see we ended up bringing home a monkey! 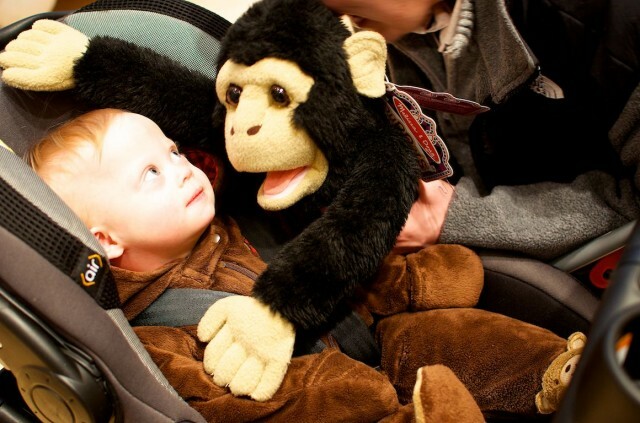 I love watching his face light up with wonder and curiosity as we played around with the puppets. 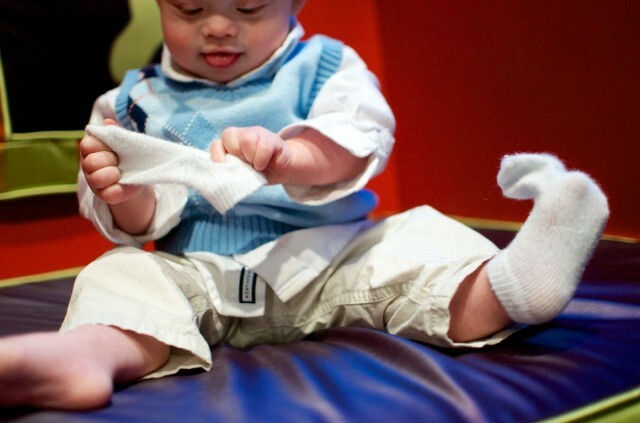 His expressions melt his daddy’s heart that’s for sure. 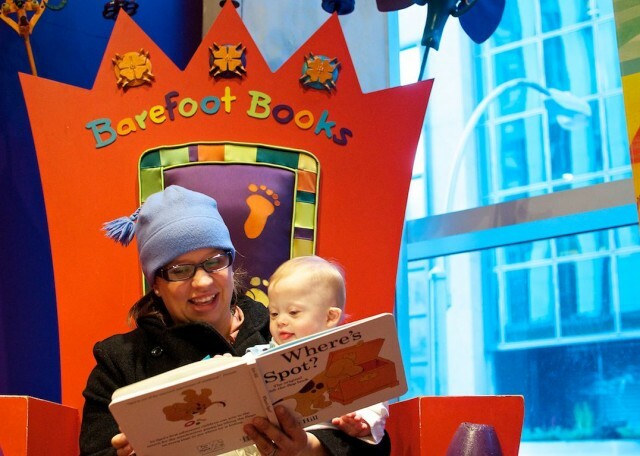 Not only does FAO have an incredible children’s book section, they also have several free story times throughout the day. If you’re in NYC and looking for something cheap (free!) to do with your small children, I highly suggest checking it out. 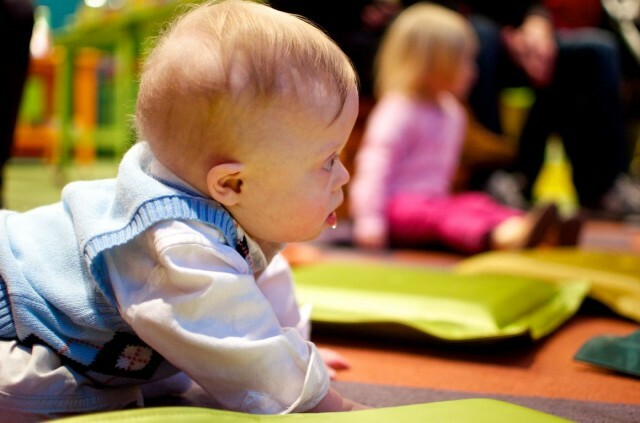 Although depending on their age, it could turn from free to expensive pretty quick as they are tempted with wall to wall toys while making their way to the story room! 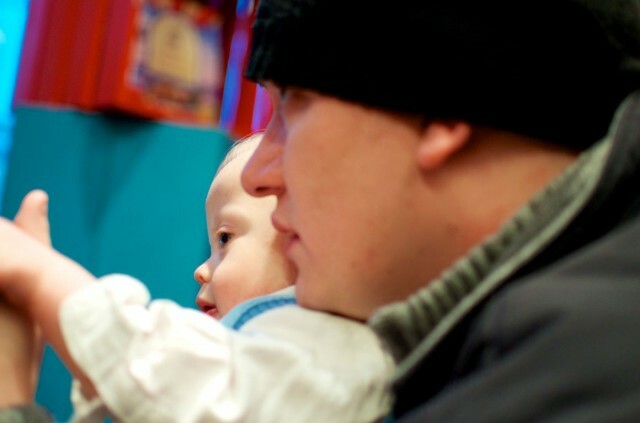 Thankfully Noah’s only 12 months old, and the only thing he wanted was hugs. Noah gets intense when it comes to story time! 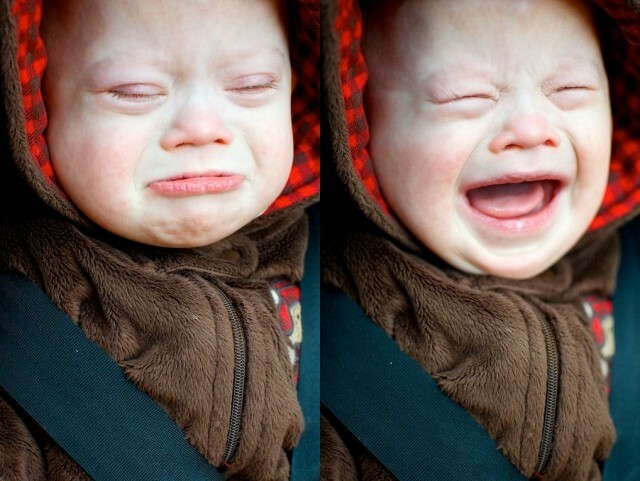 As you can see Noah wasn’t really interested in leaving. 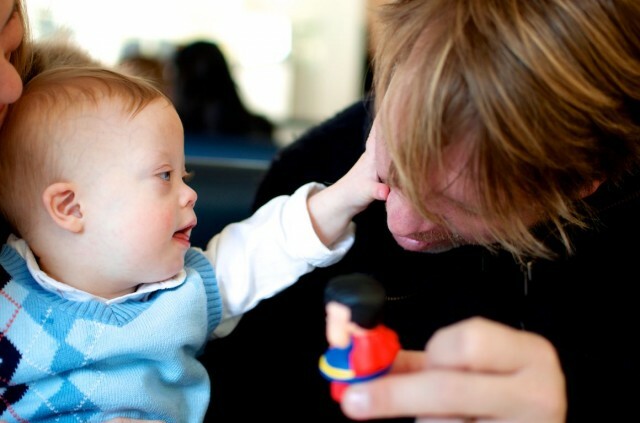 Oh, and for those of you who think that all children with Down syndrome are angels, you’re wrong. 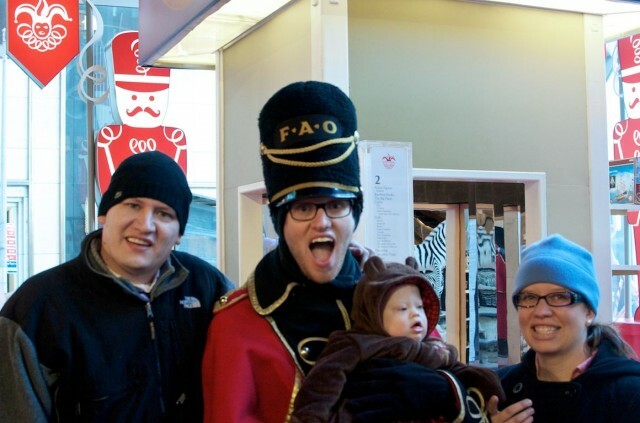 Next door to Fao Schwarz is another one of my favorite places in New York; the 24 hour flagship Apple store! That’s right, it’s open 24 hours a day. So if you ever find yourself in NYC and need to buy a new iPad at 2 am you know where to go! 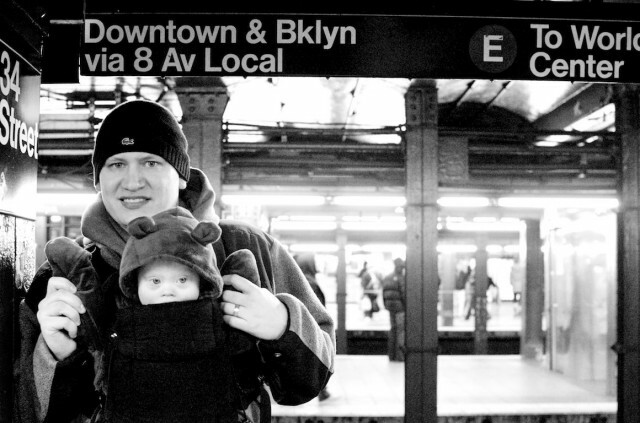 This was our first time in New York with an infant, and if you’ve ever been to this city before you know how crazy it can be to catch a cab. The drivers are in a hurry, there are mobs of people all around, and we wondered how that all worked when you add a car seat and stroller to the mix. 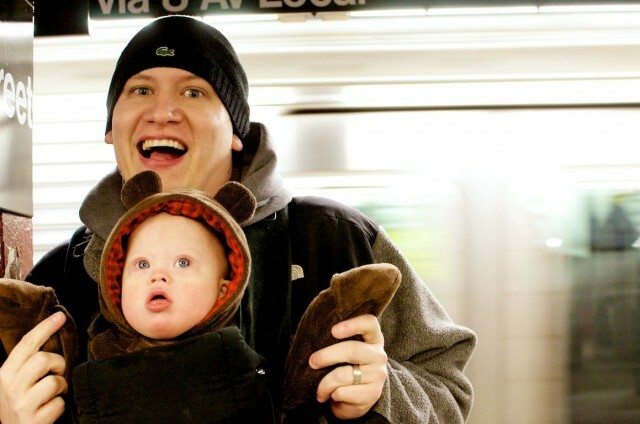 Although it’s doable (in fact we did it this morning on the way to church) we found it was much easier to simply strap Noah to us and take the subway. It’s all good because I actually like carrying him around anyways, and he enjoyed the ride. So it was a double win! By the end of the day we had done so much walking around we were both ready to head to our hotel and catch some sleep…..
…but we wanted to try out a few fun places for dinner first. 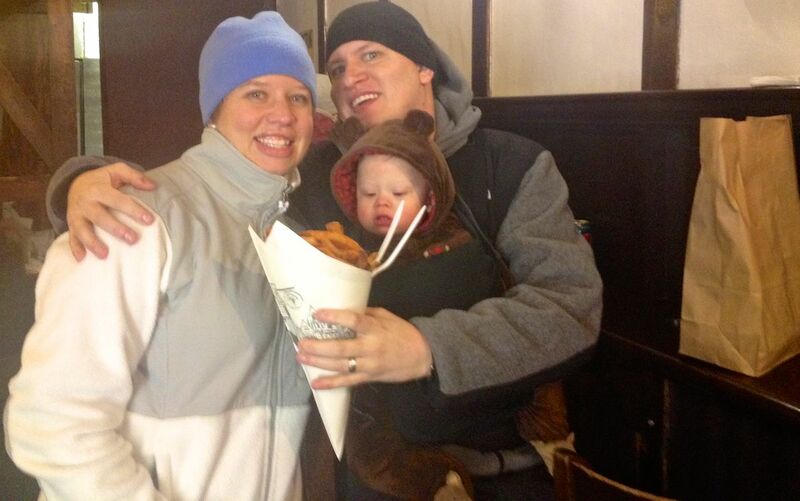 Our first stop was to grab some fries from Pommes Frites. 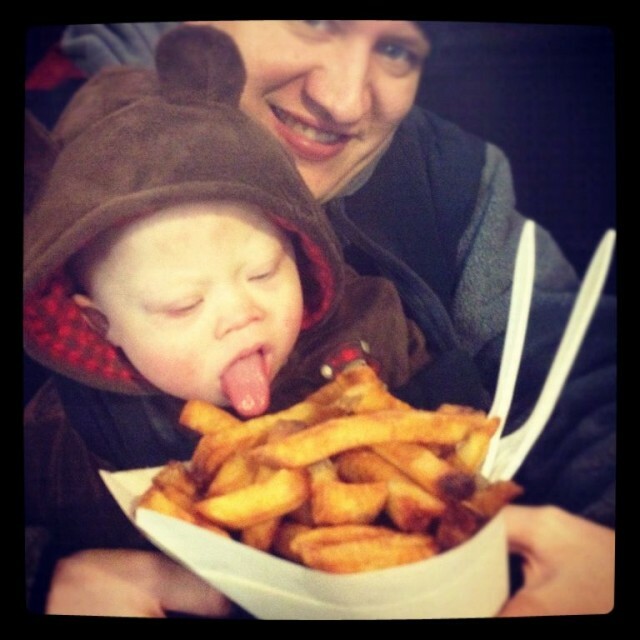 I know what you’re thinking, “Fries for dinner!” But let me just tell you, these aren’t your average fries; these are “authentic Belgian fries” and man are they ever awesome! But what’s really amazing are all of the delicious dipping sauces they have for your fry dipping pleasure. Yummm…! Just typing this makes me wish I was snacking on some. We didn’t finish all our fries because we wanted to save room for another snack place we heard about from our friend Eryn. 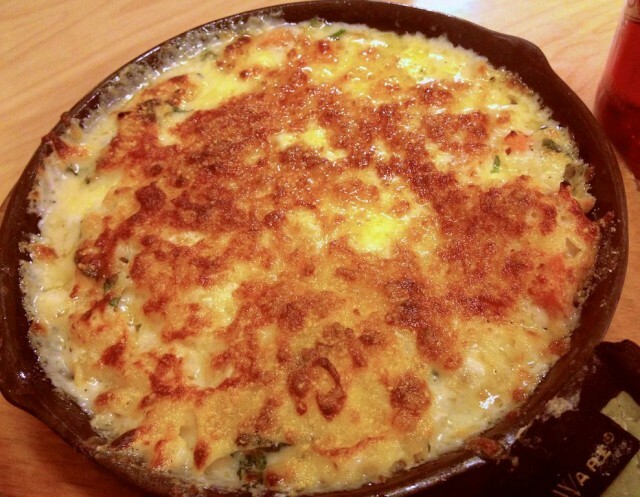 It’s called S’Mac and they serve mac and cheese….lots, and lots of mac and cheese!. And it is awesome! Words can’t explain how happy I was to see this pan full of piping hot S’Mac in front of me. 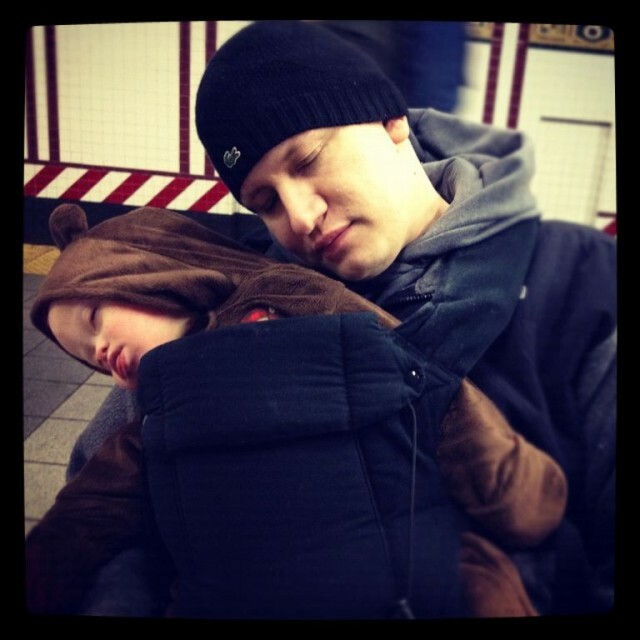 We walked in the freezing cold from the place I mentioned above to S’Mac (about 6 long, cold, New York City blocks)…with a baby strapped to me)…then we had to wait for a table…and I was starving. Needless to say, this pan full of S’Mac didn’t last long. And here’s a picture of a menu from another place I ate at during our trip. 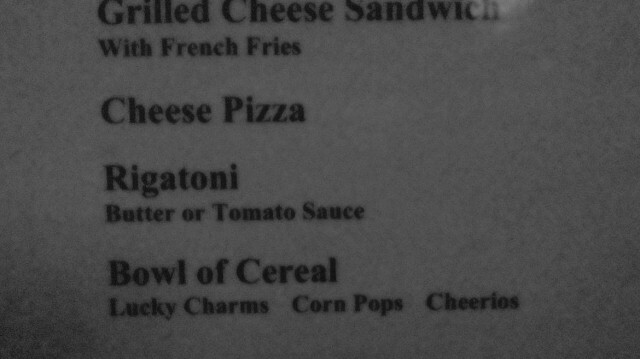 Only in NYC can you find a Bowel of Cereal on a menu…under the Rigatoni! 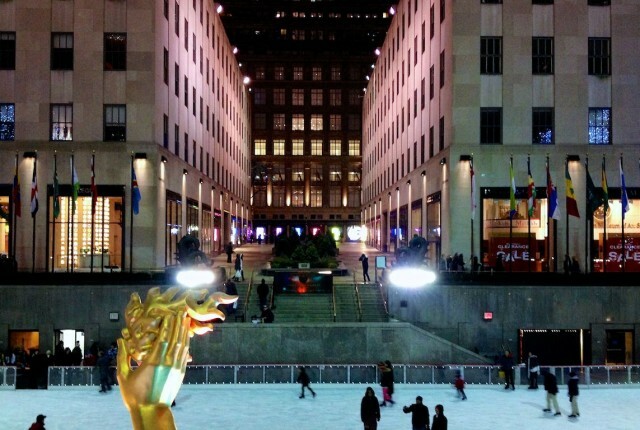 While I enjoy watching the ice skaters at Rockefeller Center, I wouldn’t want to be them. I remember when I snapped this picture I was so cold I didn’t even want to take my glove off to use my iPhone camera. I’m not a good ice skater, and falling on cold hard ice in freezing weather, isn’t something I’m all that interested in. 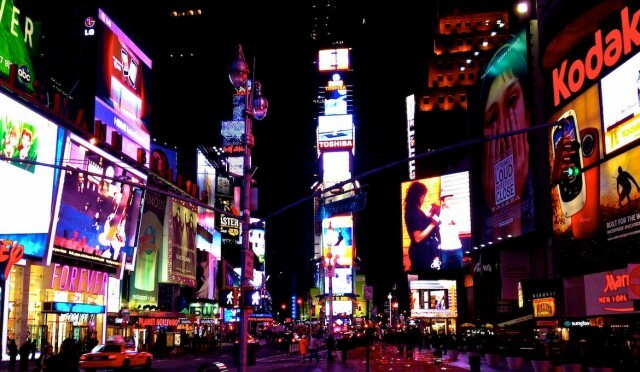 And one last shot of the day from Times Square, aka a visual representation of what goes on inside my brain. We had a great second (and cold) day in New York, but after a long day we were ready to head back to our hotel and get recharged. 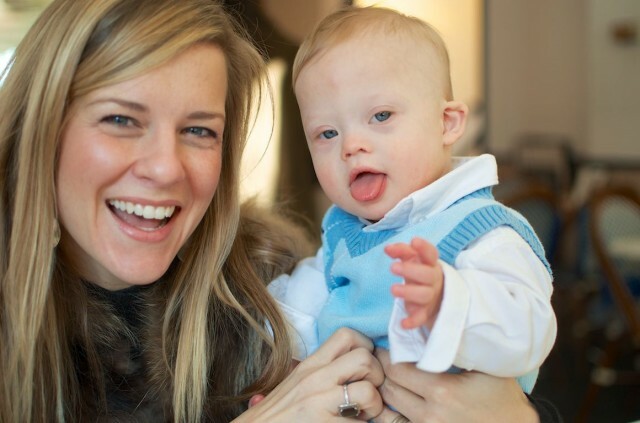 There’s a lot on the agenda for tomorrow starting with meeting Ryan Langston’s family (the young model with Down syndrome from the Target ad) at NBC studios. I can’t wait to tell you all more about it! What are some of your favorite places to visit in New York? If you’ve never been would you like to go? Why or why not? Take a minute to leave a comment below and tell us about it. We live in Brooklyn. 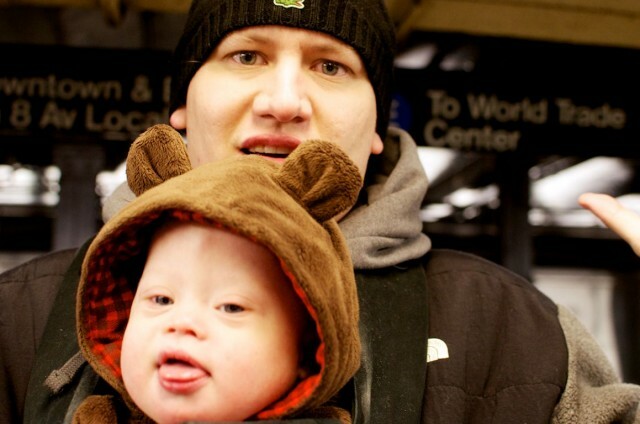 Once Eitan was cleared by his various doctors, he quicky became a regular MTA straphanger. 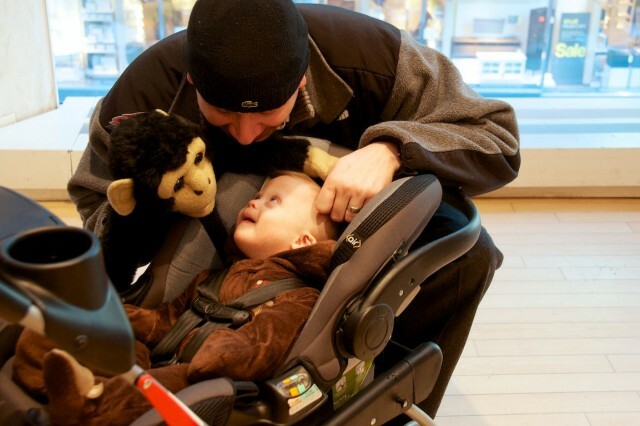 In reallity his dad takes him in a carrier ir stroller. We’ll have to meet for some DS awesomeness next time you get to NYC. 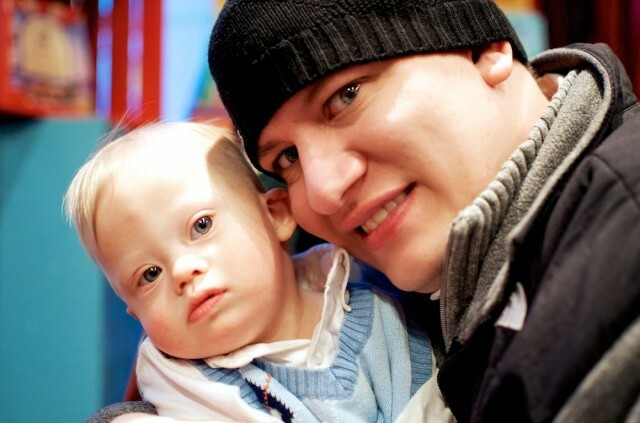 Eitan’s dad is active in the DS comunity and is counsel for a DS organization.